If your goal is for your neighbors to envy your lush landscape, build your flower gardens vertically and make the sky the limit. 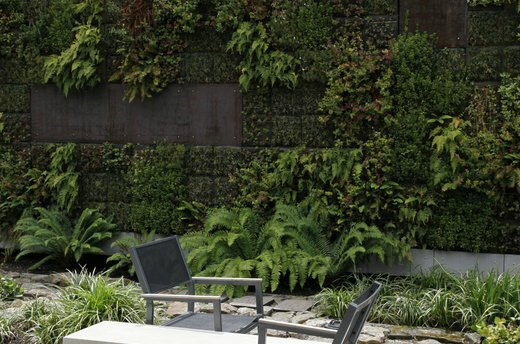 Vertical gardens feature plants that grow up walls, fences and vertical surfaces. 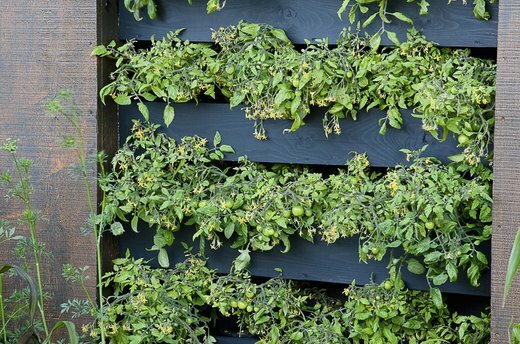 Show off blooming plants while hiding unsightly walls with creative vertical gardening tips that will make your outdoor landscape memorable. For a cozy, classy look, create a shady little garden complete with a seat wall for relaxation, rest and dining. Pam Cosce, of California-based Lazar Landscape Design and Construction, suggests planting shade-tolerant trailing plants up an existing fence or retaining wall. 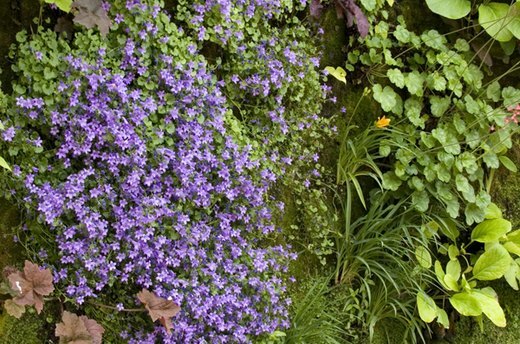 Use a variety of bacopa, veronica, campanula, ferns and heuchera, perfect for cooler climates. At the opposite end of the space, build a seat wall or add a water feature. A living succulent wall offers a vertical treat for you and your guests on a sunny day. Living succulent walls work well in sunnier locations and warmer, dry climates, according to Cosce. Simply plant your favorite succulents, such as hens-and-chicks, stone crops or prickly pear cactus, in crates or vertical wood palettes for a vertical backyard delight. Add a freestanding water feature to highlight the beauty of the garden. Vary your garden’s appeal with a combination of large plastic cells. An assortment of grasses, succulents and flowering perennials can offer a visually appealing vertical garden arrangement, complete with tall green grasses and a slight, colorful flowery bloom. “I prefer the large plastic cells because they provide enough soil for either smaller plants to mass or larger plants to thrive,” says Cosce. “You get more variation.” Succulents and grassy plants can grow vertically with sufficient watering in most climates, but may prefer dry regions better. 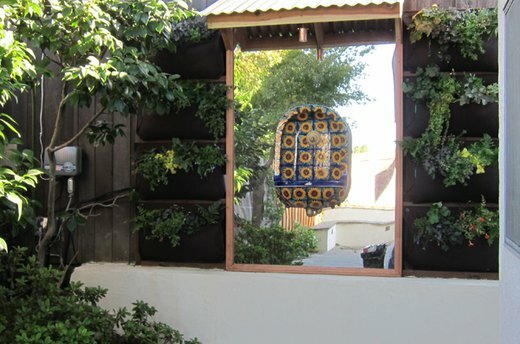 Opt for a lightweight, modular creation by surrounding your vertical wall or construction with Woolly Pockets. This unique green creation has built-in moisture barriers to protect outdoor walls and spruce up the look of any outdoor feature. “These are great for the shade garden and edible types of vertical gardens,” says Cosce. Although Woolly Pockets require sufficient water, they work well in most climates with the right care. If you are seeking a vertical lush, heart-shaped foliage throughout the growing season, opt for pipevine with pipe-shaped flowers that bloom in the spring, suggests William Moss, the “Garden Boss” of DIY Network’s “Dig In.” Pipevines grow in the most diverse climates, too. “Vines add vertical elements, provide screens and soften structure,” said Moss. "Use trellises, arbors or chain-link fencing to support vines." Add some sizzle to that vertical garden with the flame flower climbing the wall or situated within vertical palettes. 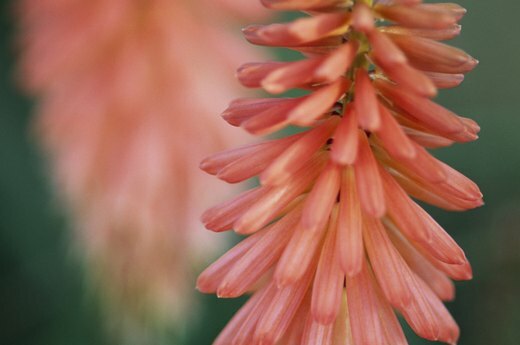 "The flame flower has light green leaves highlighted with vivid red flowers in summer and fall," says Moss. Its pizzazz will brighten up a run-down entranceway or vertical gardening space, especially in dry climates. 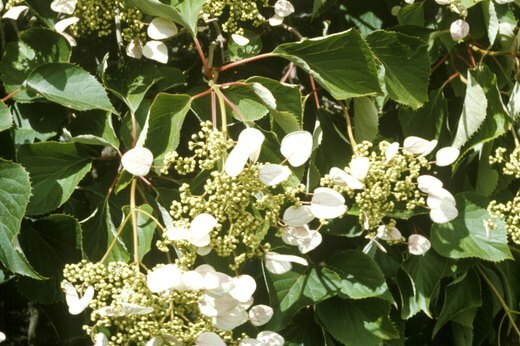 For a decorative plant that will climb solid surfaces, such as brick walls and tree trunks, consider adding the Japanese hydrangea vine to your vertical garden. 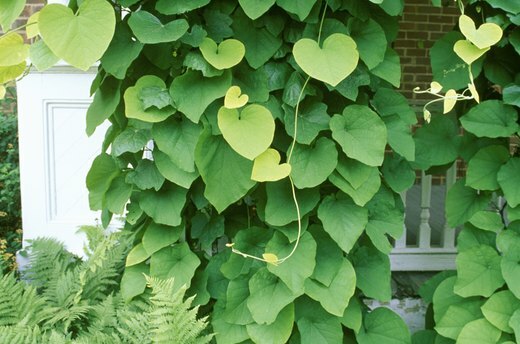 These heart-shaped, deep green vines bloom white flowers in early summer that can span up to 10 feet. "Vines are versatile and quite capable of growing in containers on patios, rooftops and balconies," says Moss. This slow-growing plant can weather cold climates, too. Bring some romance to your vertical garden with the statuesque moonflower garden plant. Easily trained to grow as a treelike plant along a stake, this vertical creation will complement any wall space. 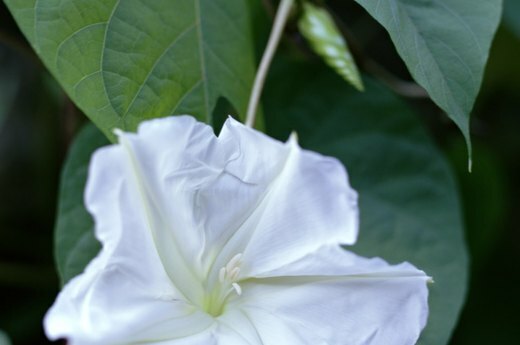 The moonflower requires moderate moisture, fertilizer and a mild climate, yet it's heat- and drought-resistant.